The best thing about the tasting is that you get a good impression of the vintage. It is not the place to taste all your favorites top-down. Not because you won't have the time (you could descend as far as you could), but because there are many omissions. There are no premier crus, and hardly any Super Seconds. And there are many other omissions, for example there are only 7 Pauillacs and 7 Pomerols. And just 4 Saint-Estèphes: Cos Labory, De Pez, Lafon-Rochet and Phélan-Ségur. 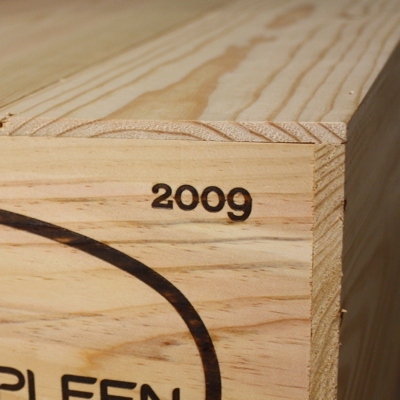 So what did we think about red Bordeaux 2009? One striking - but known - vintage feature is the absence of hard, astringent tannins. Good! And another good thing is that only very few wines smell of freshly cut oak, perhaps just one or two go off the rails here. The vast majority of the wines displays generous, ripe and fleshy fruit. Wines range from juicy to powerful-and-structured, depending also on the style. Acidity generally is good but not predominant, and that makes the wines all the more accessible. Red Bordeaux 2009 makes a healthy, attractive impression altogether. These are wines with... a sort of natural beauty. As opposed to something that's put together by a winemaker. But this might come across a bit vague, so let's go to the whites. White Bordeaux 2009. We have tasted some very beautiful, elegant examples, but also some fatter exponents that are sometimes a bit rustic, and sometimes worse than that. More than once the Riedel tasting glass vapored armpit sweat. Hurray Sauvignon! Sometimes I also missed acidity and - thus - freshness. But I do not want to jump to final conclusions about these animal whites. These in-your-face features are possibly just an age-thing. Many 2009 whites might be true adolescents now, pimpled and blushing, and I'm keen to taste these 'extravagant' whites again! There were only a handful of 2009 Sauternes to taste, and from these I thought the Guiraud (8++) was the most attractive, with its lovely freshness and purity. I also liked De Fargues (8+), Rayne-Vigneau (8) and Lafaurie-Peyraguey (8-). I give a Dutch rating, up to a 10 for the best posible. Everything ranging from 8 and up is good to very good, and everything below 7 is not good. In between I shrug and walk on. - La Conseillante 2009 (8,5-9) striking minerality, exciting wine, and lovely, intense juice, great! - Figeac 2009 (8,5-9) very special, quite lean (not an insult), refined and elegant, super! - Rauzan-Ségla 2009 (8,5+) exuberance and ripeness, powerful yet quite smooth, attractive acidity, good all the way! - Gloria 2009 (8+) expressive, whiff of oak, acidic (positive) and lively; yes I like this one! - De Pez 2009 (8) round-full, bit oaky, bon matière, classic and complete; nice surprise! Again, this is definitely not a complete list, but it gives an impression of this beautiful Bordeaux vintage. Thanks for this information, gives a very good overview of what to expect of these wines.